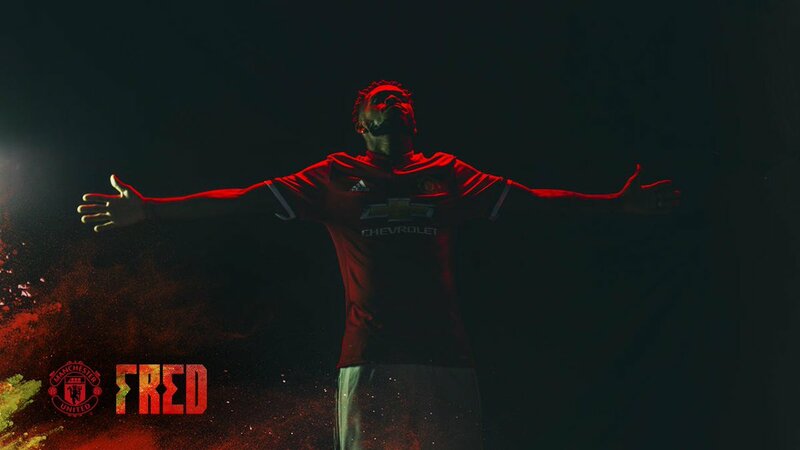 He went by the name of Fred, costing the Red Devils over £50million from Shakhtar Donetsk. What a coup it would be. Beating Manchester City to his signature made it all-the-sweeter. In the early going, United's new #17 displayed promise. Quick, agile, good on the ball, while also possessing an aggressive, feisty side that'd serve him well in the combative Premier League. Fast-forward six months, Fred is becoming a forgotten man. Marouane Fellaini has been sold and despite mass fixture pile-up, the Brazil international cannot get himself a game. Heck, he struggles to make the bench at times. It's damning that even Andreas Pereira is getting game-time ahead of him. Even he struggled mightily against Burnley. Under Ole Gunnar Solskjaer, we've seen several players improve. Even Jose Mourinho loyalist Nemanja Matic has enjoyed an upturn in form. Fred has had limited chances, sure, but against Championship side Reading in the FA Cup, I'd genuinely forgot he was playing before being hooked shortly after. He looked like a fish out of water. The concerns grow. It's frustrating because the ability is there. We've seen him go toe-to-toe with Europe's elite during his days at Shakhtar playing in the Champions League. Whether it's just a confidence issue remains to be seen, but you'd at least like to see some improvement. After all, he has been here for a half-season. Instead, it feels as though he's getting worse. Thankfully for Fred, United fans are in a forgiving mood. Alexis Sanchez has been borderline garbage for the best part of twelve months. The majority are still firmly behind the ex-Arsenal man. Fred is younger, moving to a new league and learning a new language. He'll get more leeway. For inspiration, he should look at Victor Lindelof. The Ice Man had endured an immensely poor first twelve months at the Theatre of Dreams. Look at him now. It's sink or swim time. Does Fred want to stand up and be counted like the aforementioned Swede? Or does he take the cowards way out ala Angel di Maria? Fred will get further chances. United's extremely crammed fixture list will almost guarantee that. Perhaps it's time for him to keep working hard in training and do what he can to improve while keeping one eye on the summer. Next pre-season will be huge, it'll give him a few months to bulk up, get to know his teammates better while on tour and play in games without any real pressure. Personally, I'd give him another season at least, but the worrying signs are there so I wouldn't be surprised to see United cut their losses if the right offer comes in. As for the fans, there is only so long they'll remain in his corner before calling for his head. It is a cutthroat business and everyone loses their patience eventually.